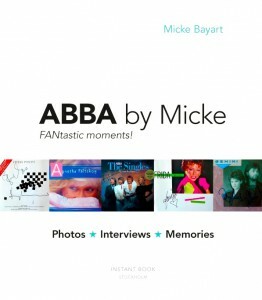 Micke Bayart is the author of the book ‘ABBA by Micke’, written in English. 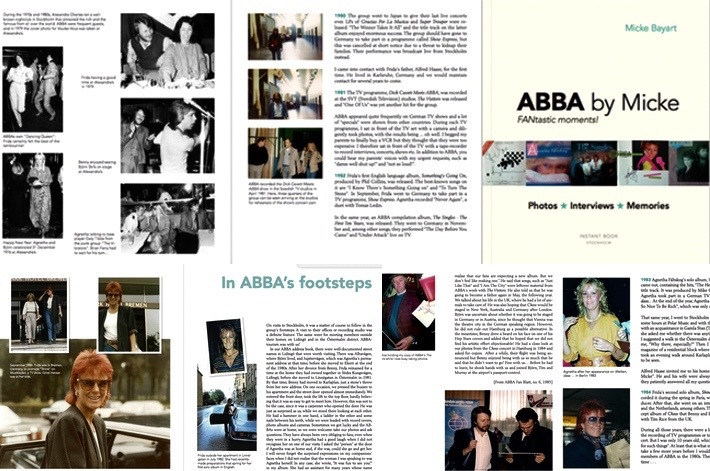 Accompany on 120 pages a group of dedicated ABBA fans in the mid eighties, covering small and major events involving members of ABBA for a German fan club publication named ABBA Fan-Blatt. In fact, by that time, ABBA had already disbanded as a group and the members had launched new careers. Björn and Benny were receiving attention for their musical, Chess, while Agnetha and Frida were releasing their own solo albums. In this book, we follow in the group members’ footsteps through articles from Fan-Blatt. The most striking feature, of course, is the fact that ABBA Fan-Blatt met the members and interviewed them on several occasions. These meetings took place in connection with ABBA’s appearances in Germany, on visits to members’ homes in Sweden, at Polar Studios or in the Polar Office in Stockholm. For even if ABBA’s golden days were over, there were still a great many fans that were eager to be kept up to date about news of the group. Micke Bayart has been interviewed by Swedish and international press such as Swedish TV SVT, Swedish Radio SR, BBC Radio, German TV & Radio ARD, French TV Channel M6, Finnish YLE amongst others. Micke also featured in various documentaries on ABBA for German TV station ARD. Please send an email to azul@bayart.se for ordering your personal copy. State clearly the quantity of books, your name and address when placing your order. Scandinavia & Europe*: SEK 310, including shipping & VAT (corresponds ca. 31 € ). Other regions*: please send an email for quote of shipping costs. * Prices refer to one copy ordered. When ordering more than one copy, you will be informed about additional shipping costs. Samples of pages from the book ‘ABBA by Micke’.